Click buy below to buy the e-book. 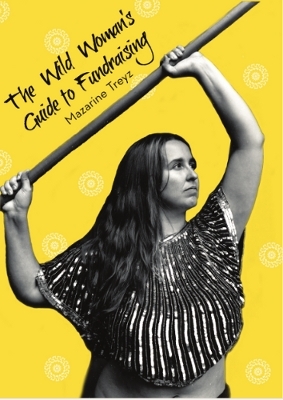 What is The Wild Woman’s Guide to Fundraising? The Wild Woman’s Guide to Fundraising is an engaging, fun book which teaches you how to make your passion for a cause into your dream job. Topics include; Fundraising in a Downturn, Dealing with Conflict in the Workplace, Net-raising, Generational and Cultural differences in Fundraising, the Lean Development Office, and more. If you’re fed up with seeing the world be messed up, consider fundraising! If you have a cause you care about, getting money to help fix the problem will help you achieve your goal. If you’re interested in learning how to fundraise, this book is a fantastic introduction. If you have 17 years of experience with fundraising, this book is probably not for you. 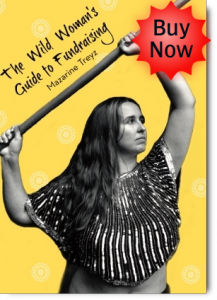 The Wild Woman’s Guide to Fundraising has over 180 pages of straight up fundraising knowledge with no fluff. 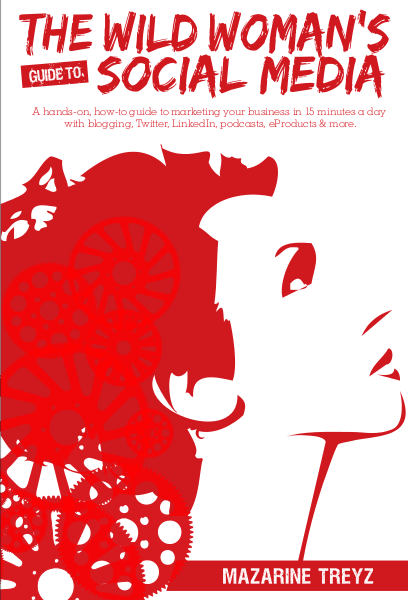 This book comes with a CD with 80 pages of templates, FAQs and samples to get you started RIGHT AWAY, no waiting. 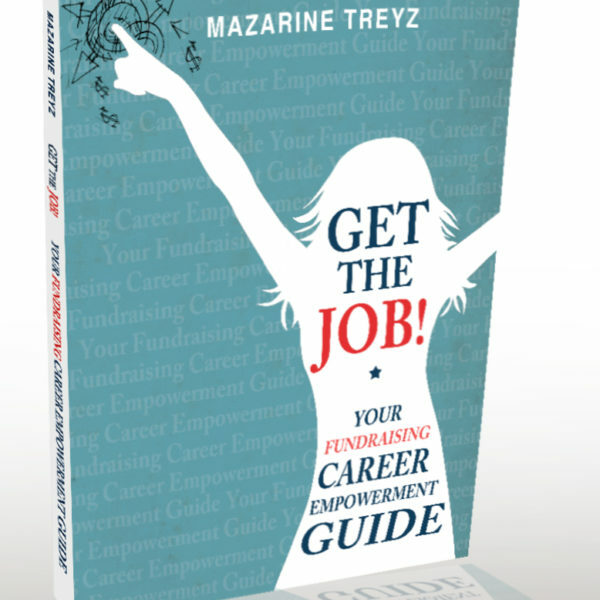 This book not only helps you fundraise, but helps you get a fundraising job, helps you manage conflict at work, and MORE! 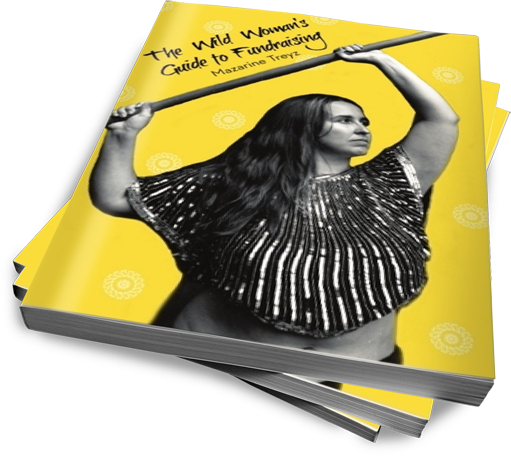 Buy the Wild Woman’s Guide to Fundraising Physical Book with BONUS CD with 80 pages of editable templates that you can customize and use INSTANTLY for your fundraising office! Cost a MERE $40.00, $5.00 shipping in the USA, $8.00 international shipping. With a $1 Trillion dollar industry and 1.9 million nonprofits (as of 2005), and 12.9 million nonprofit professionals (almost TEN PERCENT of the US economy), there are only several hundred books on fundraising, and none of these are centered on young women or diverse fundraisers. I believe that making fundraising fun, and teaching more women to fundraise will help more women to succeed against oppression, and help our nonprofit sector survive this economic downturn. Our 1.9 million nonprofits all need effective, motivated fundraisers, and the Wild Woman’s Guide to Fundraising can get you started in this exciting field. You can buy the ebook by clicking below. Low on space? Want to read on the go? Get the Ebook instead. “Hi Mazarine, My wife doesn’t usually do the mailing for her non-profit but when she does, the guy who usually handles them forgets to tell her a few important steps. This frustrates her because she gets yelled at by postal employees and has to fix the mailing in the post office (without help). She was venting about this last night – this time the problem was cardboard sleeves. The funny part is that only seconds earlier, I had read a sentence about cardboard sleeves in your book (p.45). With the page still open in my hands and without missing a beat, I just read that sentence back to her… which you can imagine resulted in a moment of bafflement. So, now she’ll know how to do these mailings and not have to rely on misinformation from her co-worker. “I just wanted to write to you to let you know how much I love your book. I haven’t read the whole thing yet, but it has still been hugely helpful. Two examples: I customized your corporate sponsorship ask letter to put together a package for an event we have coming up, and I’ve already gotten two sponsorships. I love your writing style and layout of each chapter. I can see why you built quite a following among so many fundraisers. It is a perfect primer that challenges them to learn and put into those proven practices into use.